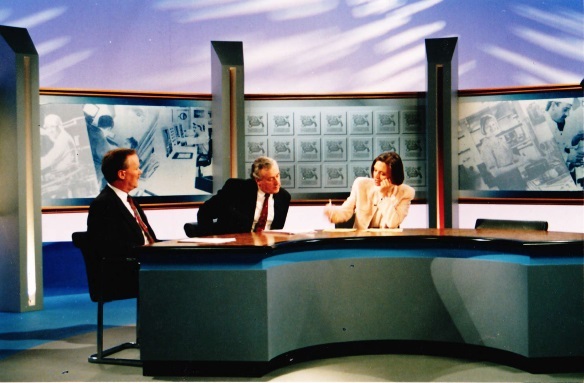 This small corporate presentation set was designed by me for Ian Gall Television and set at Capital Studios, Wandsworth. Beautifully built desk by Monarch Joinery Ltd. 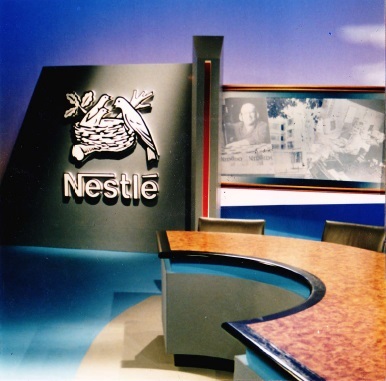 This was a presentation of corporate results, compered by Newscaster Anna Ford,and made for purely Nestle internal consumption rather than broadcast. The following years, it was deemed a bit lavish so was honed back to a more minimal backing!